PUB HTML5 is HTML5 tablet Magazines Publisher for creating online digital magazines. Easily share between tablet and mobile phone. PUB HTML5 Tablet Magazines Publishing Platform Publish digital publications on Smartphones and Tablets, Publish e-magazines, virtual e-brochures, interactive catalogs, flipbooks and other documents in digital format on any Smartphone, Tablet, iPhone and iPad including video, web links, animations and more... Due to high cost and inconvenient distribution of printed magazine, now most of publishers have made a switch from paper to digital edition. PDF is the popular format for us to present magazine content. iPad users can open PDF format file to read. However, there are a lot of inconveniences. 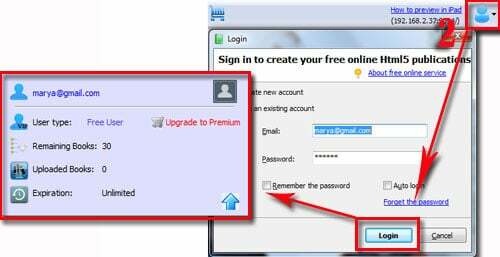 For example, readers need to download PDF file, and the large of PDF, the more download time. What's more, PDF lack the good look and feel. These make reading boring. People may be tired to download and read PDF format magazine. How to offer readers an enjoyable reading experience? Would you like to read the magazine on iPad without need to download? Online digital magazine can be read on all devices, such as desktop, tablet and mobile phone, without PDF Reader. 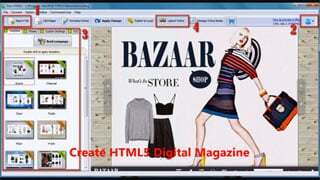 To creating digital version of magazine, you need to use PUB HTML5 tool. PUB HTML5 is HTML5 Tablet Magazines Publishers for converting PDF into HTML5 online digital magazine, effective and easily. You can elect to have your own custom iPad app to distribute and deliver any and all of your PUB HTML5 publications. Your users can find and download the app from the Apple App Store. For a small annual fee, PUB HTML5 team will continue to upgrade and maintain compatibility of your app with updates to the iOS versions and features. Of course your embedded videos, links, search, sharing/social-bookmarking, ad-placements, and push notifications are included in this version. The Digital Publisher for the Android and Windows tablets is coming soon. The reading way of online digital magazine is funny. Difference with the reading way of PDF, you can slide magazine page from cover to cover. Through entering the page number, you can directly open the relevant page. To make your magazine more appealing, you can adjust the background of digital magazine with image or color. To get more readers, you can enable share feature for readers easily distribution. How to make HTML5 Tablet Magazines with PUB HTML5? 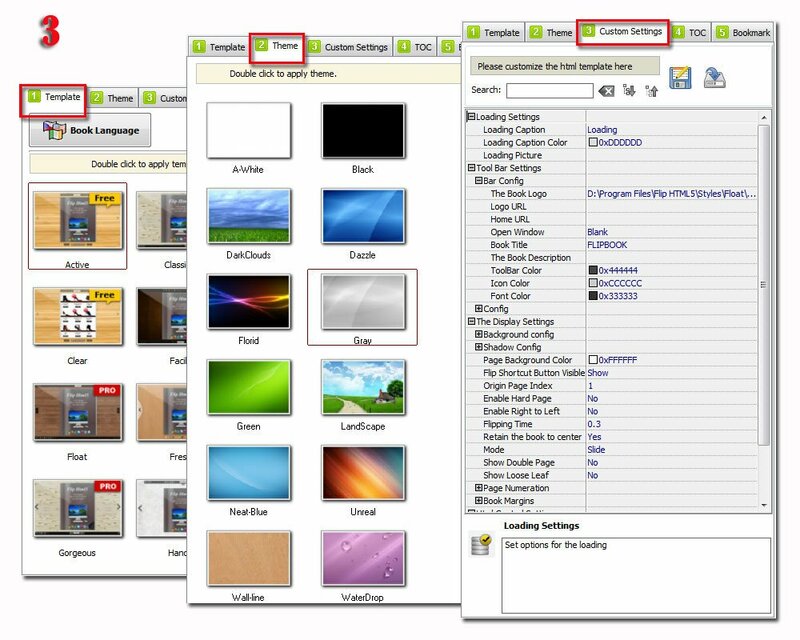 Launch PUB HTML5 program and click "Import File" button to browse and open your PDF, you can define the page range and quality before importing, then click "Import Now"; Your readers wont' need any special apps or software. 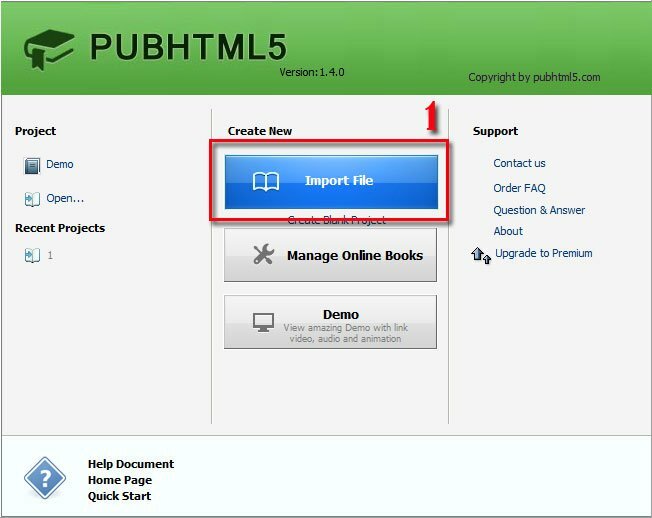 Simply import & upload a PDF file, and the PUB HTML5 will automatically convert it into HTML5 and display the correct format based on yours reader mobile device. Your e-publication, completed with video, music and web links, can be viewed on any platform, without you need to do any special setup..
Click "Upload Online" button to publish your book, in here you can define the HTML title, description and keywords before publishing. Your readers will look at your iPad app and be floored by your next-generation publishing! No more PDFs or static publishing; your users will be able to interact with your app using all types of touch gestures. PUB HTML5 takes the .PDF out of your publication!